If yours is a membership organisation then the CABS Membership Manager Module is probably the most important aspect of CABS for you with the room bookings and catering management coming second. On the other hand, if space management and catering are fundamental, the CABS Membership Manager Module could be worth a look because of the really neat and clever features that it offers to make life simpler and easier to manage. The Membership Manager module definitely ‘does what it says on the tin’ and we challenge you to suggest any aspect of membership that the module can’t handle. However, its functionality just might be the key to unlocking the potential for other challenges you might be facing. 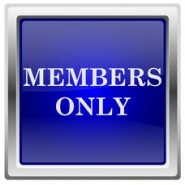 By allowing the idea of member prices, member accounts, levels of membership, and membership fees, the CABS Membership Manager offers organisations of all types the power and flexibility to support staff lunch clubs, after-hours classes, health promoting schemes, library services, personal development support – the list is only limited by your imagination.